I picked up this book because the title intrigued me. I was expecting a book of short stories on a theme, being Falling Women, and instead I got a book of short stories by an author, one of them being from a divorced, adulterous ex-wife. For all that it wasn’t what I was expecting, and was not my usual fare, I was impressed by the quality of the writing and the emotions behind the stories. Most of the stories are tiny vignettes – glimpses into other people’s lives. The last story is a much longer story about a washed-up actor. The book is short, but still manages to cram in nine stories in 135 pages, with the tenth consuming 90 pages on its own. The book begins with “What the Left Hand Is Saying,” about the people living in an apartment building coming together to form a community. “The Queen Mother” descibes a Southern Matriarch getting an intervention for her alcoholism. “The Afterlife of Lyle Stone” is a bizarre little story that I’m still not entirely sure what to make of. “A Brief History of Us” reads like a woman talking to her shrink about her family’s history. “Another Little Piece,” “Romance Manual,” “The Best Man,” “The Bodhisattva,” and “Confessions of a Falling Woman” all deal with varying aspects of love and romance. The crowning story of the collection is “Dan in the Gray Flannel Rat Suit” about a washed-up actor realizing he’s washed-up. This was a decent collection. It’s not my normal cup of tea, though her novel looks vaguely interesting (The Madonnas of Leningrad). I’ll probably only pick up Madonnas if I happen to see it on the library shelf when picking up other things. If you’re into contemporary fiction, though, this might be worth a shot. In this stunning collection of short stories – five of which are being published for the very first time – bestselling, award-winning author Debra Dean displays the depth and magnitude of her extraordinary literary talent. 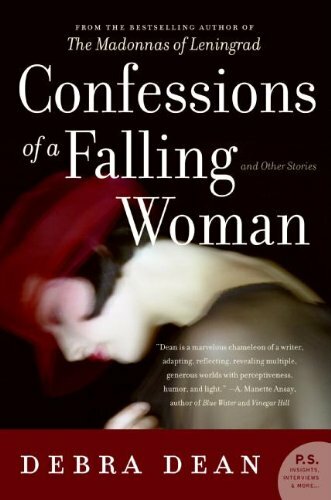 Replete with the seamless storytelling and captivating lyrical voice that made her debut novel, The Madonnas of Leningrad, a national bestseller, Dean’s Confessions of a Falling Woman is a haunting, satisfying, and unforgettable reading experience. I saw the musical version of Wicked two or three years ago, and ADORED it. I’d been wanting to pick up this book for sometime, and finally found both it and the sequel at my local library. (I just learned there are two more books, A Lion Among Men and Out of Oz, so I’ll be requesting those from the library soon!) I started the book knowing, from other reviewers, that it was very different from the musical. Unlike most of the reviews I read, that didn’t make me not like it. Quite the contrary. I loved seeing the politics and social unrest hidden behind the scenes. The musical hints at the pogroms against Animals (the sentient ones) but doesn’t go into the Whys and Hows like the book does. Wicked and its sequel are much grittier, much darker. At times they feel like political commentary. I loved them. Wicked is the story of Elphaba, Oz’s Wicked Witch of the West. Her story tells us about her birth, her childhood, her school years, and how she eventually came to be the Wicked Witch of the West. 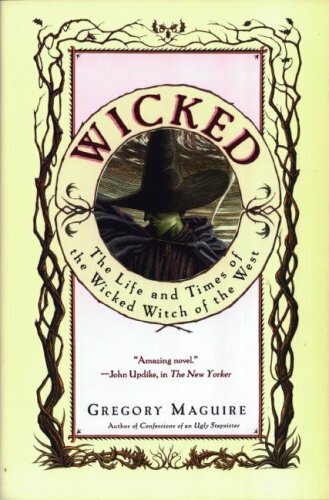 Throughout the course of the book we meet Glinda, the Good Witch (and Elphaba’s college roommate), the Wicked Witch’s flying monkeys, and the Wizard of Oz. The Wicked Witch, unsurprisingly, is not as evil as she’s painted to be. Her sister, though…I might not call her wicked, but dictatorial? Yes. Wicked also introduces Liir, Elphaba’s son. His story is the sequel, Son of a Witch. In Son of a Witch, we watch Liir try to decide who he is and what he wants to do with his life. Is he really Elphaba’s son? What does that mean for his future? Should he take up her mantle and her responsibilities? So many people seem to think it’s his duty to do so, but he’s not Elphaba. She never confided her dreams and goals to him, so he doesn’t even really know what those duties are, much less if he wants to take them up. Son of a Witch is really the story of an identity crisis, but it’s an identity crisis with the added pressure of entire tribes and races of peoples looking to Liir for help, or guidance, or simply answers that he does not have. I very much enjoyed both books, and I’m excited to find out there are two more in the series. I definitely had some unanswered questions at the end of Son of a Witch, and was disappointed when I thought that was the end. I also plan to look up the author’s other, similar books – Confessions of an Ugly Stepsister (Cinderella), Mirror Mirror (Snow White), and many others not based on fairy tales. Or recognizable fairy tales, anyway. Reading these two books has also made me want to re-read the Oz series – I read most of them years ago in middle school, but I think I may try to grab them from the library again. 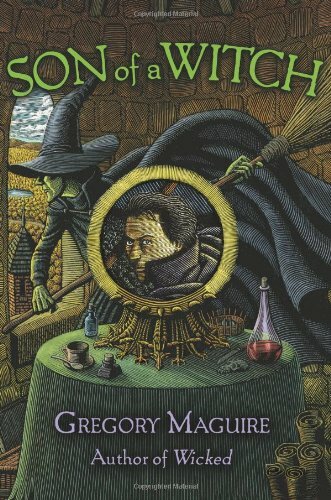 Oz is such an interesting world, and re-reading them after reading The Wicked Years might shine a whole new light on them. What dark force left Liir in this condition? Is he really Elphaba’s son? He has her broom and her cape – but what of her powers? Can he find his supposed half-sister, Nor, last seen in the forbidding prison, Southstairs? Can he fulfill the last wishes of a dying princess? In an Oz that, since the Wizard’s departure, is under new and dangerous management, can Liir keep his head down long enough to grow up? 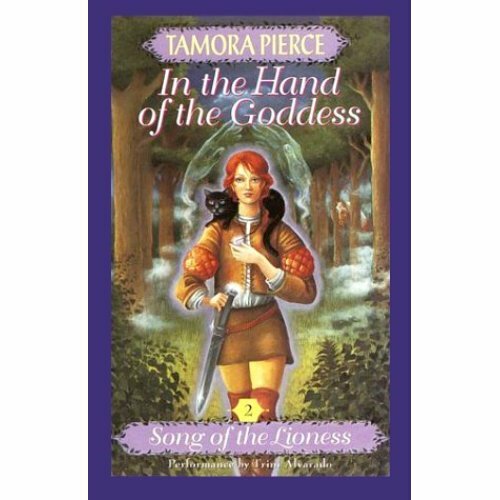 This is a collection of Tamora Pierce’s short stories, some of which have been published in other collections. There are six stories set in Tortall, four fantasy stories set elsewhere, and one contemporary non-fantasy story. I really enjoyed getting glimpses into other parts of Tortall – seeing stories of a few ordinary people, not just the extraordinary ones that star in her sagas and trilogies. In one story we revisit Numair and Daine from The Immortals quartet, and see their foster dragon, Kitten, get into trouble and rescue a wild mage and her son. In another we see an apple tree turned into a man as a consequence of Numair turning a man into an apple tree half a world away. Another story shows us the birth of Nawat and Aly’s children. (Aly is the daughter of Alanna from The Song of the Lioness quartet, and has her own duology, Trickster’s Choice and Trickster’s Queen.) We see a girl learn to fight by watching animals squabble, and another girl learn to become an adult by rescuing a baby dragon. I very much enjoy collections of short stories for a few different reasons; collections by one author show glimpses into rarely-seen parts of their established worlds, while collections around a theme introduce me to new authors. I also don’t feel bad about setting the book down between stories to go to bed! 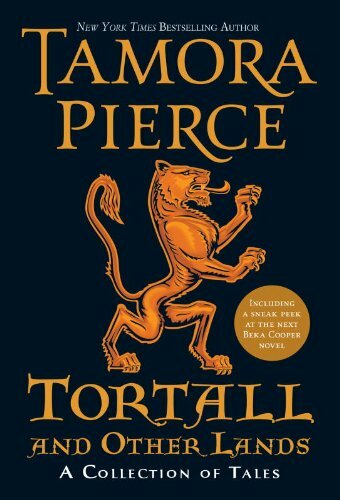 Tortall and Other Lands was a wonderful addition to the stories of Tortall, and has me even more eager to read The Immortals quartet and the Trickster set. Years ago, the novel Alanna introduced fantasy lovers to the magical kingdom of Tortall. 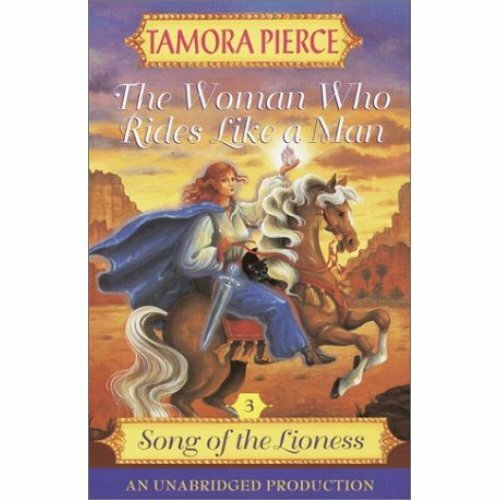 In Tamora Pierce’s subsequent fifteen books set in this medieval realm, readers have gotten to know generations of families; legions of friends, foes, and fantastical creatures; and much about the history, magic, and spirit of this extraordinarily well-drawn locale. But epics do not always provide the smaller, more intimate tales. Collected here are six wondrous shorter tales from the land of Tortall, featuring previously unknown characters as well as old friends. These stories, some of which have never been published before, will lead old fans and new readers more deeply into one of the most intricately constructed worlds of modern fantasy. There are four more fantasy tales not set in Tortall. Two are historical and set in an unknown town; one takes place in a remote desert; and one is set in a very well-known town, New York City, in our time. And as a bonus, there’s one nonfantasy set in contemporary Idaho that proves that Pierce’s multilayered characters, finesse with dialogue, and impeccable storytelling are not limited to lands inhabited by dragons and magic. 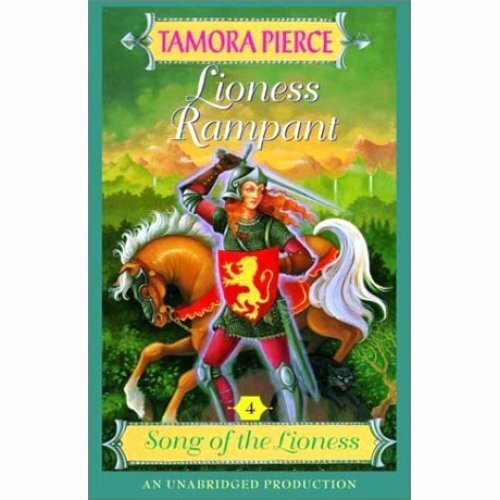 The Song of the Lioness quartet is Tamora Pierce’s first set of books. I read her latest trilogy (the Beka Cooper trilogy) first, which didn’t exactly prepare me for The Song of the Lioness. It’s obvious, going from the latest trilogy to her first writing, how much her writing has matured since the 80s. My first thought upon completing Alanna: the First Adventure was “I’m very glad she’s gotten better at writing!” The story itself is still interesting and worth reading, but the style is a little difficult to read when I KNOW how well she writes now. The characters are mostly one-dimensional; few of the side characters seem to have plots going or events happening to them when they’re not with Alanna. Characters pop up, have a significant interaction with Alanna, and are gone again, with no indication they exist outside of their usefulness to the main character. This is in stark contrast to her latest work, where every character that has a significant role to play has a history of their own, and thoughts and feelings of their own. They’re much more fleshed out in her recent books. That complaint aside, the Alanna books are really the foundation that the rest of Tortall was built upon. It’s interesting to see how Pierce has fleshed out some of the concepts she touched on in the Alanna saga, and it’s fun to see where some of the things from the Beka Cooper trilogy originated. It also pays to keep in mind that though the Alanna books were written first, the Beka Cooper trilogy is based two hundred years earlier. We learn a lot more about the office of The Rogue in the Beka Cooper trilogy, something that isn’t explained very well in the Alanna quartet, even though one of Alanna’s main romantic interests is George Cooper (yes, a descendant of Beka! ), the Rogue. Pierce also never explains the origins of Alanna’s cat, Faithful, in the actual Alanna books. That explanation lies in the Beka Cooper books as well. Alan/Alanna begins as a page, then moves to squire, and eventually a knight. Her secret is discovered, but due to her influential friends, most of whom knew she was a girl by then, she is able to keep her status. Her adventures take her from uncovering a plot against the royal family, to being adopted by a desert tribe, to recovering a magic jewel of prosperity, with many small adventures in between. I love reading Pierce’s heroines; both Alanna and Beka have problems reconciling their feminine natures with the work they’ve chosen. The scenes where Alanna’s love interests see her in a dress for the first time, instead of her normal boy-garb and armor, is heart-warming in one case, and sad in another. In both womens’ lives it’s the man who can accept all of their aspects who ultimately wins their heart, which is a wonderful message. Ultimately, the technical flaws in the writing of the Alanna saga faded as I became absorbed in the story. I’ll be requesting more Tortall books from the library in the near future! Newly knighted, Alanna of Trebond seeks adventure in the vast desert of Tortall. Captured by fierce desert dwellers, she is forced to prove herself in a duel to the death—either she will be killed or she will be inducted into the tribe. Although she triumphs, dire challenges lie ahead. As her mythic fate would have it, Alanna soon becomes the tribe’s first female shaman—despite the desert dwellers’ grave fear of the foreign woman warrior. Alanna must fight to change the ancient tribal customs of the desert tribes—for their sake and for the sake of all Tortall. Having achieved her dream of becoming the first female knight errant, Alanna of Trebond is not sure what to do next. She has triumphed in countless bloody battles, and her adventures are already legendary. Perhaps being a knight errant is not all that Alanna needs…but Alanna must push her uncertainty aside when she is challenged with the impossible. She must recover the Dominion Jewel, a legendary gem with enormous power for good—but only in the right hands. And she must work fast. Tortall is in great danger, and Alanna’s arch-enemy, Duke Roger, is back—and more powerful than ever. 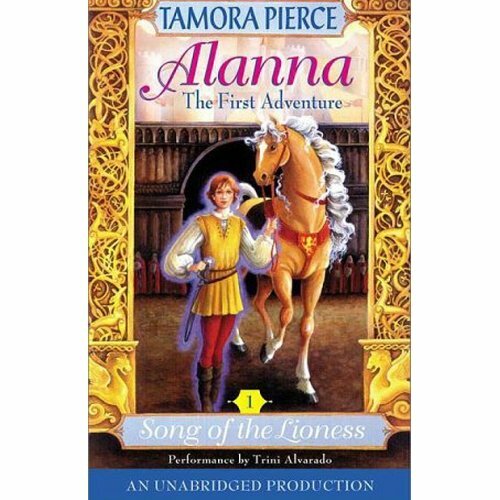 In this final book of the Song of the Lioness quartet, Alanna discovers through fierce combat and ceaseless searching that she indeed has a future worthy of her mythic past—both as a warrior and as a woman. So I’m not real big on straight up Sci-fi usually – I like my Sci-fi with at least a touch of fantasy. I especially don’t usually read military sci-fi. Armored is all about mechs, mostly military-style mechs, so I wasn’t sure how I’d feel about the book, but there were a few authors I recognized, so I gave it a shot. (My husband read it first and really liked it, so that was another point in its favor.) I’m very glad I took a chance on it! There are a couple of stories that left me wanting more in the world – and a couple of them are side stories from larger novels or series, so I may need to look those up. There are 23 stories in the book, each one about 20-25 pages long. Some stories have sentient mechs bonded with humans; some are mechs completely driven by humans. In a couple stories the mech featured is the first mech every built; in some the mech is the latest model, or something in between. The book is a wonderful collection of different authors’ takes on man (or woman)+armored suit. One story is just a blood-filled shoot ’em up almost from start to finish; one story spends the entire time philosophizing about the melding of man+machine and what that means to society and the individual psyche. Ultimately I really enjoyed this book. I got to see new things by a few authors I already enjoyed, and learned of a few other authors I might be interested in. That’s one reason I really enjoy short story collections. They’re like breadcrumbs to other authors and worlds. Decades ago, Starship Troopers captivated readers with its vision of a future war in which power armored soldiers battled giant insects on hostile alien planets. Today, with the success of Iron Man, Halo, and Mechwarrior–and with real robotic exoskeletons just around the corner–the idea of super-powered combat armor and giant mecha has never been more exciting and relevant. 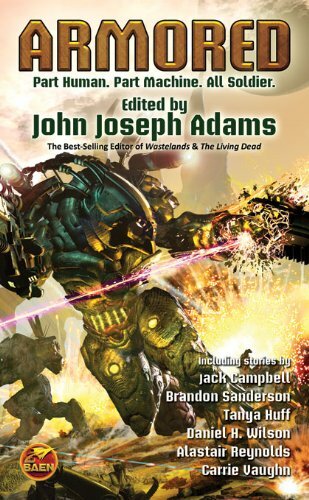 Now acclaimed editor John Joseph Adams brings you the first-ever original anthology of power armor fiction. Join leading SF authors Jack Campbell, Brandon Sanderson, Tanya Huff, Daniel H. Wilson, Alastair Reynolds, Carrie Vaughn, and others as they explore the limits of what a soldier of the future might become–with the aid of the right equipment. 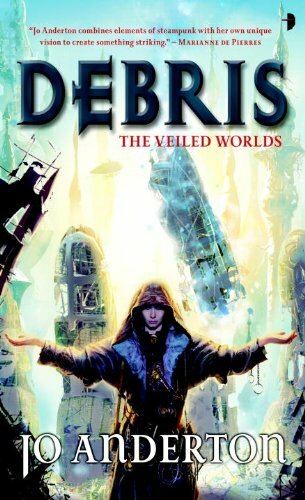 Debris is Jo Anderton’s debut novel, and while it at times feels like it, the story at its heart is a unique take on the genre. I hesitated on which genre to list it as; it’s modern-ish technology, not on Earth, and more advanced than Steampunk. But it has magic, which makes it not sci-fi. Ultimately, it’s just GOOD. There were some pacing issues and the heroine seemed a little bi-polar, going from “I’M GOING TO GET MY OLD LIFE BACK” to “I don’t want to disrupt my new life” but other reviewers say that those issues are smoothed out somewhat in the second book, which I haven’t read. I am very excited to see how this new author shapes up, given the quality of Debris.